Newest attraction at the National Museum of Patriotism. The exhibit showcase outstanding achievement in citizenship. Every winning school team exceeded all program goals and earned outstanding partnership scores. National champions decreased name-calling by more than thirty percent and increased kind words and cooperation by more than 30 percent as measured in pre and post independent program surveys. 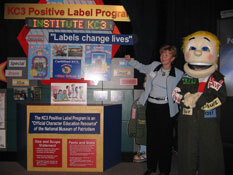 “All winners followed guidelines for an effective Character Education program," says Margaret Ross, president of Kamaron Institute and KC3™ Program creator. "This behavior change translates to increased classroom teaching times, an improved school environment, and safer buses,” says Margaret Ross. “The purpose of creating this national award program is to recognize outstanding performance and achievement in the area of positive citizenship. Our benchmark is implementation of the KC3™ Positive Label Certification Program. 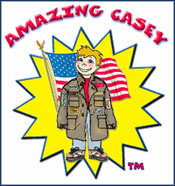 We salute the national champions and their communities,” National Museum of Patriotism founder, Nick Snider.